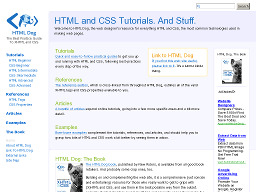 HTML Dog A site for those with no previous knowledge of HTML or CSS. 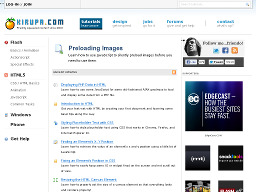 It provides tutorials on formatting structured content (HTML) and the visual formatting of that content (CSS) for building web pages. Find articles, references, examples and tutorials on tables, forms, links; tags, attributes & elements, etc. 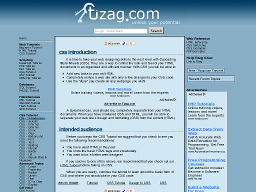 Tizag CCS Tutorials Offers a basic look at how to use Cascading Style Sheets in web page design. A good starting point for CSS usage. 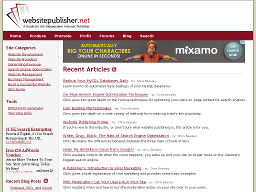 WebsitePublisher.net An articles and tutorial site focused on website development, promotion and revenue generation. Also has an associated blog and discussion forums. 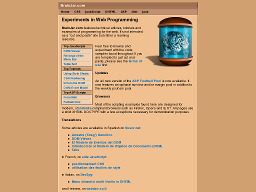 RonsGuide.com Offers a number of useful tutorials on css, html, php and java-script but site doesn't appear to have been updated recently.